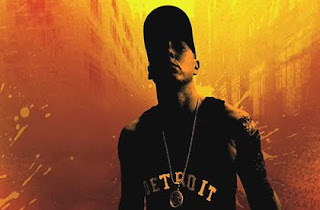 For over four years, Apple and Eminem have been at odds with each over an alleged copyright infringement on 93 of the singers tracks that were sold on iTunes. As we reported last week, the case was to head to trial should the parties fail to reach an agreement. The case did proceed to trial in a Michigan federal court, and since has seen five days of heated and contradictory testimony from both sides. Apple’s attorney, Glenn Pomerantz painted Eminem and Eight Mile Style LLC as greedy, with the opposition claiming that Apple profited by at least $2.5 million in wrongful downloads. Today, however, Yahoo News is reporting that Apple and Eight Mile have somehow managed to reach an agreement. Though the financial details have yet to be disclosed, the lawsuit has been “settled to the satisfaction of all parties,” according to an Eight Mile attorney. Given the four year delay, we have to wonder if there was a smoking gun in the case, or if Apple and Aftermath, the two accused parties, simply decided that it was better to cut their loses and pay up. Either way, we have to believe that the terms of the settlement are more favorable to Enimem and Eight Mile, with a pretty big payout for those 93 disputed tracks. We’ll update this post should the financial terms of the deal be disclosed. But, what’s your take on the case? Does the rushed settlement at trial indicate that Apple and Aftermath were in the wrong? Let us know your thoughts.